After an MCN reader vote picked the supercharged single concept as the best of three new Ariel designs, Ariel’s owner says the motorcycle will go into production. The Ariel brand was one of the British biking greats, but was one of the many UK bike names to disappear. Now Simon Saunders (the man behind the Ariel Atom sports car) is ready to put theAriel name back on a motorcycle. 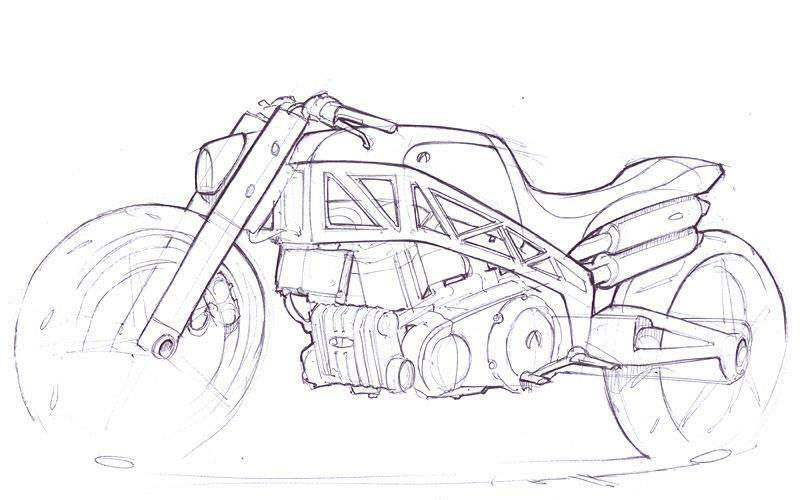 Three concept drawings were created – one for a versatile, but fairly conventional inline four-cylinder naked bike. The second was for a light, fast accelerating electric bike, an idea limited by current battery technology and vulnerable to being rendered technologically obsolete very quickly. The third was for a lightweight single-cylinder bike, fitted with a supercharger to push power way beyond the current benchmarks for singles. The idea is to make a bike easily adaptable to suit town riders, riding on fast roads and even track use just by changing handlebars and seats. Simon Saunders’ was faced with a dilemma – which idea to develop? So motorcyclenews.com held an online vote for MCN readers to pick their favourite design, and after a week of voting you picked the supercharged single as the top design, taking 46 per cent of the vote. The naked bike came second with 25 per cent, and the electric bike was close behind with 22 per cent. Simon Saunders told MCN: “We do take on board what people say – as a designer, if eight out of ten people see your design and say ‘that’s rubbish’, then you know you’re going the wrong way. “It bears out what we’re thinking as well – the electric would be nice to do but maybe is inappropriate for us as we like to use proven stuff and don’t like to use our customers as guinea pigs, which is why we get on so well with using the Honda engine in the Atom. “The more we’ve talked about it, the 500 single represents light weight, simplicity and tunability as well, so our thinking to begin with goes with the way people are voting. “When we’re designing, we’ll pursue as many ideas as possible. We try to look at as many possibilities, including the ones even I’d call daft. From the daft ones, you sometimes get sensible ideas, and you know that you’ve explored every avenue. “Designing things isn’t a straight line – you go off on tangents and you sometimes have to retrace your steps. British firm Ariel is set to make a motorcycle comeback under the guidance of boss Simon Saunders.